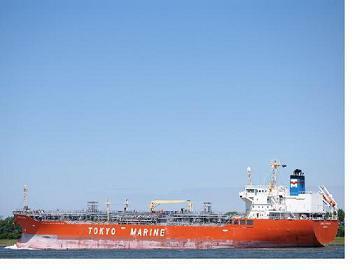 Cargoes carried by a chemical tanker differ widely in characteristics and mode of handling, and thus in the care they require during transit. During the voyage, attention must be paid to these special needs of cargoes. Inert gas capacity should be sufficient for the entire voyage. If stored nitrogen is relied upon, it must be confirmed prior to sailing that the ship has sufficient nitrogen on board to be able to comply with the inerting requirements. Regular checks on tank contents should be made to detect an unexpected change in liquid level. Cargoes that need cooling or heating must be monitored daily and a temperature log kept. Temperature log for the voyage to be maintained as per the instructions provided by the shippers. Some cargoes are liable to self-react under certain conditions . Cargoes that may self-react should be monitored daily in order to detect any abnormal behaviour at an early stage. Unexpected changes of temperature are an important early indicator of a possible self-reaction, and attention should be given to ensuring that any required heating does not cause part of the cargo to become overheated. Crystallisation. of inhibited liquid cargoes can lead to depletion of inhibitor in parts of the tank's contents (because the inhibitor does not crystallise as well), and subsequent remelting of the crystals can thus yield pockets of uninhibited liquid, with the risk of starting dangerous self-polymerisation. With inhibited cargoes, the precautions and limitations described in the inhibitor certificate should be carefully observed. If control of the tank atmosphere is being used, ullage spaces should be monitored regularly to ensure that the correct atmosphere and overpressure are being maintained. Most inhibitors are not themselves volatile, so they do not vaporise with the cargo and are unlikely to be prese~t in cargo vapours. Therefore, polymerisation may occur where cargo vapours condense. Such places as inside vent valves and flame arresters should be regularly inspected, and any blockage by solid polymers promptly cleared. Cargo heating : Cargoes that require heating must be monitored at least once daily and a temperature log must be kept. Ensure that correct heating medium is used, and that heating coils in tanks that do not require heating are blown dry and blanked. Prior to loading heated cargo, heating coils should be pressure tested and results recorded in the log book. Cargo cooling : In specialised cases, is required to prevent products from giving-off toxic and flammable vapours. Special care requirements are generally documented in the condition of carriage details contained in the ships Certificate of Fitness and also in the IBC/BCH Codes. The Company and Charterers are to be consulted if additional information is required. Tank Atmosphere ?monitoring and recording of the ullage space of pressure and/or oxygen should be carried out at regular intervals (daily) to ensure that the correct environment is being maintained. Temperature Control : Cargoes that may self-react must be monitored on a daily basis for any increase temperature that deviates from the ambient climatic conditions. Tank atmosphere : O2 content strictly controlled :Some cargoes like Hexane-HMD-Octene do have a maximum requirement with respect to oxygen in the vapour space. The vapour space has to be checked with the appropriate oxygen meter. The Shipper determines the frequency of the routine checks. The results are to be recorded in ‘Voyage Log? 1. Evaporation via PV vents. 2. Excessive ROB due to high pour-point of cargo or pumping problems. While in some trades the discharge port out turn figures alone determine the amount of cargo delivered, in others they are still compared to the bill of lading figures provided by the load port. Virtual losses (On paper only): In many shortage claims no actual loss has taken place but the amount of cargo has been overstated when loading and/or understated when discharging. Stowing volatile cargo next to heated cargo causes evaporation losses. Charterers should specify maximum adjacent temperatures. Adjacent heat is an important spec on chemical tankers. Chief Officer must find out that number of shore tanks to be loaded from, the quantity, temperature and SG of cargo in each. Whether there are any planned loading stops for shore tank changes. Whether density is being expressed ‘in air?or ‘in vacuum?Whether shore pipelines are full or empty, and details of any pipeline displacements planned. Whether loading by gravity or shore pumps. The inspector must be accompanied at all times and his ullage measurements actively verified. Frequently maintaining and checking ship’s equipment - and arranging for yearly calibration of electronic measuring devices by an agent approved by the manufacturer. Never permit the use of the terminal’s measuring equipment on board. If measurements taken with the inspector’s equipment differ from those taken with the ships, propose that all measurements be taken with each, and both be sent for verification ashore afterwards. If the ship is pitching or rolling, five measurements should be taken, withdrawing the tape as soon as it penetrates the surface of the cargo. The highest and lowest should be ignored and the middle three averaged. Weather and sea conditions should be logged. Cargo temperature may vary by 5 °C at different levels in the tank, so must be averaged from at least three readings -top, middle and bottom. Some digital probes can measure at more frequent intervals .Measurement error of 1°C can distort the volume calculation substantially , however this will depend on cargo density also. In certain conditions of heat, pressure and in the presence of Oxygen, some chemical cargo types can become viscous and possibly solid and dense in nature. This self reaction can cause some cargoes , especially in the presence of high temperatures and Oxygen, to begin an exothermic reaction, becoming self heating and rapidly expanding which may result in possibly disastrous consequences for the vessel. In the case of two or more liquid chemical cargoes which react with one another in a hazardous manner, segregation must be done The product data sheets, together with the BCH/IBC Codes are to be studies carefully to determine the compatibility restrictions when carrying different groups of cargoes. Solidification in the cargo tanks can occur when solidifying cargoes are stowed adjacent to “cold cargoes” or cold ballast water in adjacent spaces. Transporting of dangerous and noxious liquid chemicals in bulk involved various risk factors. Between some chemicals violent reactions may occur if the chemicals are mixed in certain proportions. The result may possibly be an eruption and tank rupture. Such an occurrance must be prevented. Water may also have to be considered in this respect. To maintain product quality onboard modern chemical tankers any contaminants in the cargo need to be observed. Following guideline may be useful determining various product contaminants in noxious liquid chemicals. How take a sample of noxious liquid cargo ?